Compact Wash Kit - BTP. 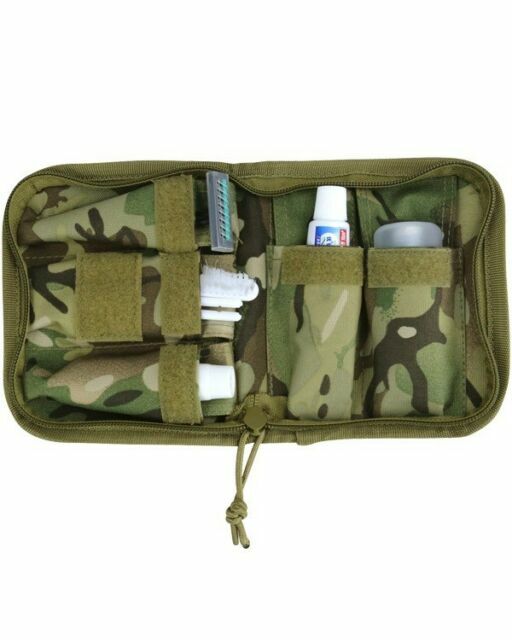 • Zip closure pouch which contains toothbrush, toothpaste, body wash, shaving cream, razor and removable shaving mirror. Haven't used this yet, but it looks a neat kit for camping, back-packing and travelling. The case holds all the basics you need. It is compact and just as described. It's for my daughter, who's looking forward to testing it on her next trip. Really good kit that includes all of the items shown, matches MTP well. Would definitely recommend!